I feel like I need to be wearing a hat and a trench coat while I write this. Preferably with a sunglasses, while backlit and speaking through a voice changer. On a dark and stormy night. Ready? Great. Let’s talk about cables. At some point in the not-quite distant past, it became clear to me that my cables were not, in point of fact, characterless. More specifically, that I could quite fundamentally change the presentation of my entire audio system with the introduction of a key cable or power cord. Now, before you get all hot under the collar, the changes were almost always for the worse — that is, most cable introductions were not revolutionizing the size or scope of my sound stage or allowing me to suddenly place new elements into it. No cable I have ever had suddenly transformed an amplifier into an SET amp (in a good way) or changed a single-driver speaker into one with a integrated subwoofer. It’s very rare that a cable actually alters the tone or timbre of the system’s sound, either — though, that has happened, and it’s why I stay away from “exotic metals” (where ‘exotic’ = “anything other than copper”). My credulity can only go so far. Admissions like these are pretty much an invitation for abuse. Which is pretty much what happened when Purist Audio Design‘s chief Jim Aud sent me some exotic cables. Seriously exotic. The cables in question were from their newest “architecture”. And yes, that’s pretty much how Jim approaches it. The cables are designed. Each product family has its own name (Dominus, Aqueous Aureous, Vesta and so on) that includes power cords, speaker cables, interconnects and more. But every so often Purist flips the bit on a new architecture, which will feature a host of updates and improvements; when that happens, every cable in the each of the product lines will get revisioned and advance to the new architecture. The latest iteration, which they’re calling the Luminist Revision replaces their last, which they called Praesto Revision. Lovin’ the Latin thing, here. The new cables were destined for a try out in my “Reference System #1”, which is usually a combination of Vitus Audio Reference electronics with a pair of Contriva Diacera SE loudspeakers from TIDAL. 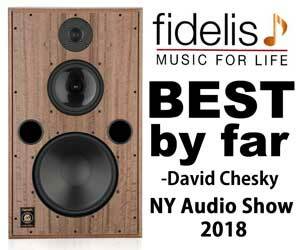 I’d had some experience with the Purist cables in that system previously, recommended as they were by Doug White, owner of The Voice That Is, an audio dealer outside of Philadelphia. It was Doug that started me off down this particular rabbit hole; he sold me a pair of Contrivas a couple of years ago and I’ve been using them as an anchor to build a “reference system” around. He’s been pointing out potential fits ever since. Purist was one of those. Some time back, Jim had sent me a loom of their Praesto Revision cables (from the Corvus line, primarily, with some Aqueous Aureous power cords), which I discussed here as part of my exploration of the Vitus Audio gear. I found those cables to be hugely full, with deep tonal color, and a non-fatiguing, slightly-sweet treble presentation that was pretty much at right-angles to the more neutral/linear presentation of the WyWires Silver series cable loom I had been using up to that point. These two looms, if you’ll pardon the analogy, were very like the stereotypical difference between a tube amplifier and a solid-state amplifier. In that instance, I preferred the Purist wires and used them extensively with those speakers and electronics. And yes, they really are that different. Two out of three trout, subjected to double-blind pan-frying preferred this pairing with a Chardonnay and a side of well-aged purple pajamas. [Cough]. A quick aside — you’re going to have to forgive me the “subjectivist” approach. I’m not qualified to measure, nor do I have the wallet for the equipment to measure, nor the wallet to send the cables to someone with the equipment to measure the cables in an “objective” way. And no, a double-blind test is not, in point of fact, objective — a DBT, done correctly, is merely an averaged subjective test. A litmus test, if you will, of what the Average Joe is capable of. Done correctly, a DBT points at objective results, but does not itself generate any. That’s point one. The next thing, testing was done. Don’t wave numbers or equations about — that’s not empirical. You have to look to know. If you have a theoretical objection, you have to stipulate circumstances under which your theory would be proven wrong. Sadly, a DBT as a litmus test, isn’t quite up to that, your faith notwithstanding. As for me, I not only swapped the cables out here at home, I did it abroad too. Many tests, many systems, actual gear, great music, real ears. If you have a complaint about the validity of those tests, that’s totally cool — you are encouraged to go do it yourself. And back to your regularly scheduled review! As I was saying, Luminist Revision is an update and a refinement on the Praesto Revision cables, and were introduced last year. The downside of the Praesto wires was obvious at a glance — they were huge. They were extremely thick, and the result was almost impossible to use with electronics that were not themselves seriously heavy — the cables would lift them off the rack. But with the Luminist Revision, things just got a whole lot more interesting. 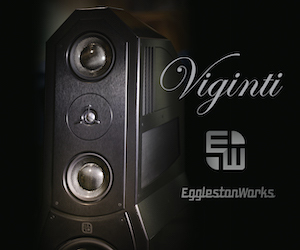 Our Luminist line embodies improved engineering and a greatly improved audiophile experience. Across the line, we have improved connectors, reduced the overall size of the cables while increasing their flexibility. We’ve decreased the capacitance across all lines. 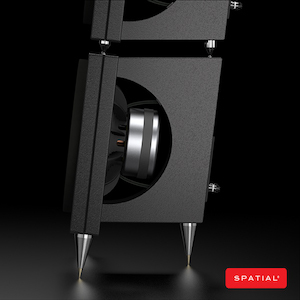 From improved EMI and vibration reduction to the increased convenience of interchangeable bananas or spades, Luminist is the culmination of our 30 years in the audiophile industry. Our cables are made by hand, here in the USA. We combine advanced engineering with an artisanal, hand-made quality. We believe firmly in the union of art and engineering. In fact, we named our latest revision after an artistic movement known for its natural beauty, expression of light and fine detail. Luminist celebrates the light and beauty of the natural world. Its artists celebrated nature’s visual depth, just as we celebrate the depth of tonality and the natural flow of the artist’s unimpeded voice. Luminist artists constructed detail so finely as to render the brush strokes invisible. Our Luminist revision, we hope will do the same, connecting you to the music in a way the artist intended and celebrating the beauty of natural sound. Yes, the new construction is dramatically thinner. That’s huge. Err. Or not, heh heh. Anyway, the cables are also much easier to use, so for those inclined to explore the Purist approach, the Luminist Revision cables will have value in that alone. Internally, the structure of the cable depends entirely on the line being explored. Purist has ten different lines of speaker cables, interconnects, and power cables, for example, and six different lines of digital cables or tonearm cables. 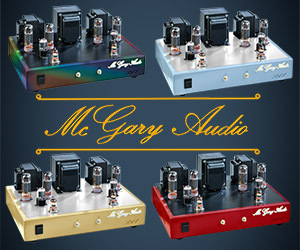 Each varies based on the precise combination of conductor, with some variety of copper for the most affordable, a blend of precious metals (silver, copper and gold) for the upper tiers, and pure silver (interconnects) or pair of conductors, one a single-crystal silver and the other a single-crystal copper (speaker cables), for their flagship “25th Anniversary” product. 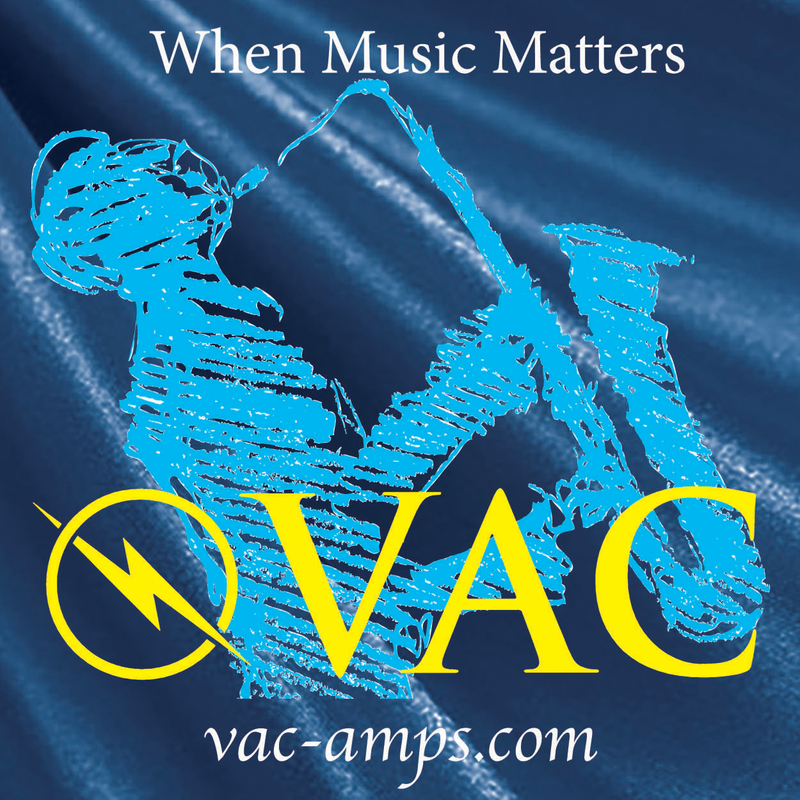 The gauge of the conductor also varies. But the most interesting and unusual thing about Purist cables is the damping material. The two entry-level offerings, called Vesta and Genesis, are “regular” cables in that they are pretty much industry-standard. They’re hefty in a delightfully overbuilt kind of way, with sturdy connectors, stout wire, quality insulation and the like. Moving up to the next level, Musaeus, grabs a tube filled with Ferox that the conductors sit inside. Ferox, you ask? Okay, maybe it was just me. Let’s take a step to the side. Jim used the analogy of a guitar string — most audio cables have no mechanism to eliminate the transmission of physical vibration, when they pick such up, they resonate. Not a lot, maybe. But some. Binding the conductors inside of a damping material helps dissipate that, resulting in lower loss. Again, not a lot. But some. Jim has been using a variety of damping materials in his higher-end cables since 1986, specifically something he calls “Fluid”, which is pretty much what it sounds like. Water-based, Fluid is heavily doped with chemicals and materials to create a dual-purpose “bath”. This is in contrast with Ferox, which is a highly-doped metallicized ultra-fine silicon powder. A third solution, which he calls “Contego”, blends both Fluid and Ferox in specific ratios depending on his goals. What goals, you ask? Well, one benefit of the approach is mechanical damping. Imagine trying to push your hand through a bucket filled with water or sand. That resistance is analogous to what the cable “sees” sitting in its own bath — mechanical vibrations are dramatically reduced over the length of the wire. The other benefit? 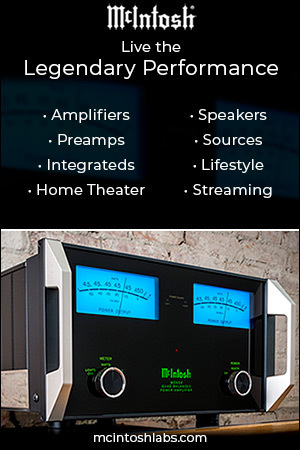 Depending on the composition of the materials used, you also get better EMI/RF filtering. This, happily, was straightforward to measure — Jim bombarded the cables, and recorded the difference. His results revealed a consistent 1dB lower noise floor in the damped cables. Again, not a lot. But some. I was sent some 25th Anniversary and some Dominus interconnects, one pair each in single-ended/RCA and balanced/XLR. 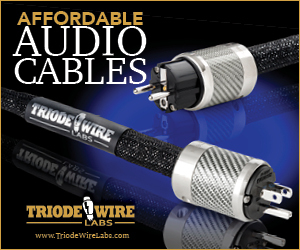 These are not cheap; 25th Anniversary retail for $9,055/pair over at The Cable Company for the singled-ended; the balanced option adds another $400/pair. Dominus is $5,970/pair; balanced adds $90. For the record, these are the most expensive interconnects I’ve ever tried, and by no small margin. The very idea that these four wires cost this much makes my head hurt, and does some violence to the notion of “value”. But, as usual, my intuitions on this have rather little to do with economics. The 25th Anniversary uses a single-crystal solid-core silver wire. Dominus uses a custom alloy of gold, silver and copper, arranged in a braided litz. So far, so good. But these are expensive. Not insanely so, but enough that they will probably sell fewer sets than those made with less exotic metallurgy. Maybe a lot fewer sets. Thats a problem, because that means it may take a lot longer to sell a given length. Like the given length that’s the minimum length for a custom order from a custom wire-maker. He’ll have to buy that custom wire in bulk, then, and pay to store it, perhaps pay taxes on it, eventually work it, and then hope to sell it, even that is only a little bit at a time over some period of time. This long-view toward price recapturing is rather difficult to manage or forecast so he — like every other prudent manufacturer forced to make such large scale purchases of raw materials — has to front-weight the prices he charges in hopes of zeroing the books on the sooner side of later. 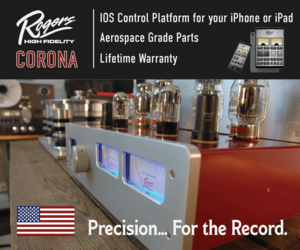 His cables are all constructed in the USA and fully UL rated (where necessary and appropriate — which is also why they’re so massively overbuilt, to withstand the abuse that the rating process entails), which means even more overhead before R&D and marketing, distribution and dealer margins are all factored in. The net result is an expensive product. The upshot? Sure, he could charge less. We’d have to buy more, though. A lot more. For that money, Jim does offer a lifetime warranty to original owner. That’s not nothing. The cables are insanely sturdy, and his RMA returns are almost comically rare. By way of a stress test, he strung his cables across a local, high-traffic Texas highway and left them there all day. Not an issue. You could run them through with a floor spike from your speakers — and yes, for the record, spiking your cables will cause them to leak. “Other than that,” Jim said, seeming to scratch his head, “you’re going to be fine. Assuming a disgruntled ex- doesn’t take a meat cleaver to them”, he added. He chuckled when he said that. Apparently, that’s happened. Hefting the Dominus power cords in my hand, I wonder, however, because I’m pretty sure that Ash Williams would have a fine time — these are fully weaponizable. Jim chuckled at that: “Going out for a walk at night? Take your Dominus.” Indeed. So, yeah. I was sent all these expensive cables for use in System #1, so naturally, the first thing I’m going to tell you about is how they worked out in System #2. Natch! Why? Well … you’ll see. First thing: wrestling the Dominus power cords into my system was problematic. Even though they’re from the new Luminist Revision, where a reduction in cable size was a goal, this one retains the massive structure pulled found in the massive Praesto Revision that preceded it. It’s big. 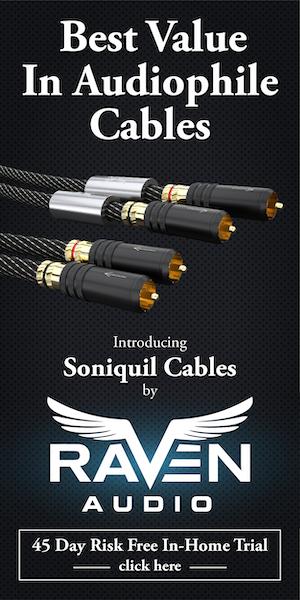 Worse, these new cords are even larger than the Praesto Aqueous Aureous power cables! The ultra-thick UL-mandated cases meant creative and firm twisting, maneuvering and contorting to get them into the tighter spaces; take it as a warning. I used Dominus power cords to wire up the Reference Class A monoblock amplifiers from Pure Audio that I had here for review, and the matching Control Unit pre; to this, I added Dominus interconnects between the Bricasti M1 DAC and the Control Unit, and a 25th Anniversary interconnect for the connection between the monoblocks and the pre. The overall sound of the system with this cable loom in place was obviously different from the reference setup. 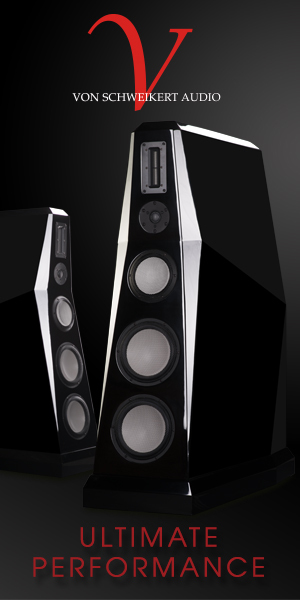 System #2 is usually a high-sensitivity arrangement, fronted at the moment by Hørning Hybrid Eufrodite Ellipse loudspeakers or a pair of Daedalus Audio Ulysses V2. Neither of these speakers need 65 watts of Class A power as they’re both over 98dB, but what’s a little extra juice among friends, right? I’d been experimenting with bass response from these two loudspeakers, and comparing that to the big Contrivas, because bass that’s why. 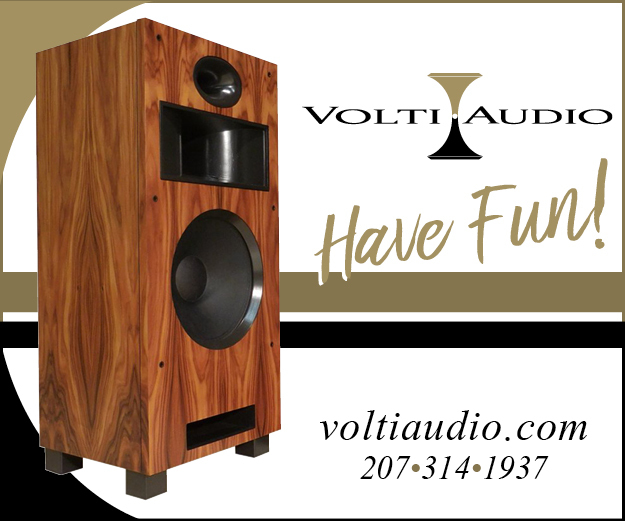 My System #2 amplifier, a 7wpc wunderkind from BorderPatrol Electronics, was simply not going to get the big Contrivas to sit up much less bark, so I had rolled in the review kit from Pure Audio for grins. Mix and match — it’s what’s for dinner. Using the Purist cables as my variable, and keeping everything else static as I rotated through the speakers, what I noticed repeatedly was an expansion of the soundstage. It wasn’t much. But some. Things just got a bit bigger. A bit more concrete. A bit more illuminated. There was also a subtle change to the character of the sound. This was more akin to what I heard with the Silver Circle Tchaik 6 I reviewed a while ago; I suppose you could say this was more detail, but the effect wasn’t precisely like that. It was as if more of the stage slid into focus. Again, this effect was not hugely pronounced. It was subtle. But it was there. My reference cables (for my tube system), are some enormous ribbons from MG Audio Design paired with power cords from TelWire. 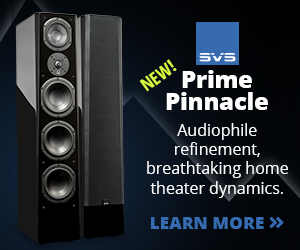 I collapsed on these after years of exploring, and they perform amazingly well in that system. 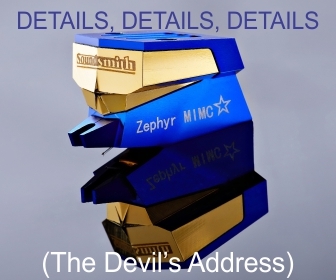 Very detailed, with absolutely superb bass, and overall, very refined. 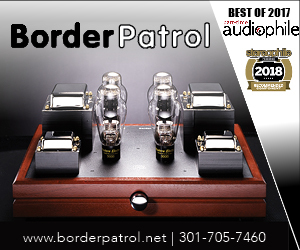 When, on a whim, I swapped back to the BorderPatrol amplifier, I found that the Purist cables to be the closest that I’ve gotten to the sheer extension that I’m familiar with from the that reference set — but the Purist set betters them with pure finesse. 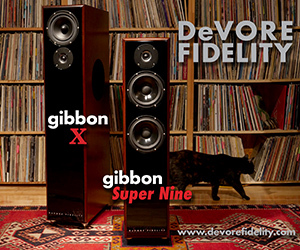 There’s a sweetness, an ease, and a sense of richness to the sound that reminds me of a Class A amp, over, say, one that’s Class A/B, though that may be overstating the effect. But it’s like that. A light burnish. A subtle, alluring glow. Switching back to the solid state amps, this burnish is a very welcome characteristic, and helped close the tonal gap between my “traditional tube” system and the “modern solid-state” system. With the TIDAL loudspeakers, driven by their accustomed partners from Vitus Audio, the Luminist cables were as elegant a partner as I’ve heard paired. This system, System #1, is the one I’d had such luck with the Purist cables in the first place, and the one I was most familiar with in terms of their impact. So, yes, I did have the opportunity to compare the new Luminist cables to the older Praesto cables. Unfortunately, the older Praesto cables came from the Corvus (copper conductors) line and the Luminist cables came from the Dominus (Ag/Cu/Au alloy conductors) line — so, I did not have quite the apples-to-apples comparision. That said, the Luminist cables, and the Dominus power cords particularly, had more extension than the Praesto cables they displaced, and the “burnish” was more present with the newer set. 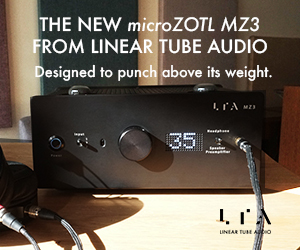 Overall, this was a significant improvement, and while not on par with a new amplifier, it was a clear refinement. Yeah, I was diggin’ these guys. These audio cables from Purist Audio Design are not only a fascinating case study in engineering, I think they sound fantastic. Will they be right for you or for your system? How on earth would I or any reviewer be able to divine that? Too many variables! As with all things — go try it yourself. All I can tell you is what I experienced; you make of that what you will. For me, the impact that cables tend to have on my audio systems do not tend to be of the profound, life-changing sort. That said, they most definitely matter — just like everything matters. The whys and wherefores of this, I admit, I don’t understand. I’m sure there are very compelling arguments as to why what I heard is impossible, but to be frank, I’m not interested in yet another exegetical exercise in argument deconstruction, even though I’m pretty sure I’ll be getting the opportunity, nonetheless. For those inclined and unable to sit on their hands, feel free to take a look at the ground rules, first. 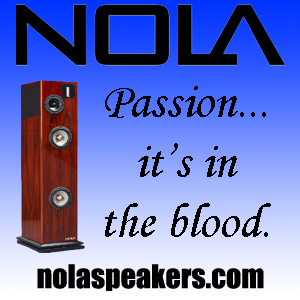 My best match was with my most expensive loudspeakers. That’s not exactly an accident — those TIDAL loudspeakers are extremely precise, absurdly well-made, and measured to a fare-the-well during their design and construction. They’re full range — they’re also enormous. They’re as resolving as any speaker I’ve ever run across — but don’t sound like goblins with rusty icepicks going after individual neurons deep in my frontal cortex. And with that speaker and wonderful (and varied) electronics from Vitus Audio and Pure Audio, the sound I got improved, in some cases significantly, with the introduction of these new cables from Purist Audio Design. If you’ve got the wallet and the will, I can’t recommend a trial strongly enough.